Do you need help getting your money back? Do you have a Financial Ombudsman Service (FOS) or Tribunal Decision in your favour? After the hard and lengthy battle of gaining a FOS decision in your favour (or any other Tribunal or Ombudsman decision), the last thing you need is for the firm to fail to pay up. Unfortunately, this rare occurrence does crop up from time to time and you might find yourself in a legal minefield, not quite sure how to progress. We understand the stress that this can cause and have specifically set up a niche practice to assist in such troublesome times. Our solicitor, Tobias Haynes, is the leader and expert in this field, having already helped many people like you. 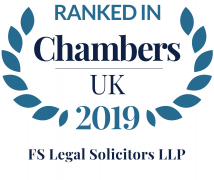 Tobias has already sought to bring the difficulties of enforcing FOS decisions into the public eye, and our expertise in this field has been recognised in the law society gazette. Read the article Enforcing financial ombudsman decisions. We aim to make enforcing Ombudsman and Tribunal decisions a simple and cost-effective process. We offer many options for payment including fixed fees and hourly rates. However, we are happy to offer no win no fee arrangements for most cases. If the firm still doesn’t pay up after enforcement action, we ocan also help you with any insolvency action. For further assistance, please contact Tobias, of our Birmingham office, on 01384 889906.